What Will the Historians Say? The work you are doing with your fraternity, organization, career, etc. may be interesting, compelling, invigorating, and inspiring. However, would it pass the Historian Test? I’ve been working with this idea of a “Historian Test” for a few years now as a way to measure the quality of my work at Kiwanis. Any organization can use it, and it’s really quite simple. The test is based on a very apparent, yet often forgotten notion: you are living through a moment of your organization’s history. How will this moment be described by those historians who will analyze it in the future? To always confront those who would do them harm. To step forward, when others shrink back; To stand up, when others sit down. To do right, when others do nothing. 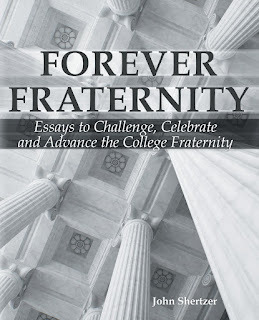 To be a fraternity that will forever welcome them. Are Leaders Allowed to be Complete Jerks? Given what is revealed in these articles, as well as the new book Steve Jobs by Walter Isaacson, emulating him fully may not be the best idea. Of course, I recognize that it is unfair to judge someone you haven’t met. These books and articles could be extreme portrayals. Suffice to say, Jobs leadership style was probably more Bobby Knight than Mister Rogers. To be fair, there can be quite a difference between being demanding and being a jerk, although sometimes it may look the same. Being tough on someone is a coaching technique that will often produce results. Sometimes, a person just needs to be told in a direct manner that their performance is lacking and that expectations are not being met. I’ve had coaches and teachers like that in my life. But, I’ve also had raving egoists in my life as well. The difference lies in who the leader is centered on. If he/she is centered on the other, then it’s more of a “tough love” kind of coaching. The goal is to try and help the other person achieve what they are capable of. If the leader is centered on self, then the goal instead is to prop him/herself up at the expense of the other person. Based on what I’ve read, Jobs wasn’t too concerned with the other person. And yet, he achieved marvelous good for humankind. His products have helped usher in a new wave of technology, which in turn has improved educational and economic conditions in many places. So what if he belittled and bullied some people along the way? There is a lot written on being a relational leader and on the importance of emotional intelligence. However, emotional intelligence did not invent the I-Phone. In fact, an intentional lack of it might have instead. But then again, does that mean we can’t be disappointed, or extra cautious in following the examples of very public leaders? You may want your child to be just like Steve Jobs. I’m not so sure about it. Leaders always have shortcomings, and the perfect leader is a myth…isn’t it? Leaders are human, and humans are flawed. You can try to be both a hard driver and a kind soul at the same time. I do, although the driver role is clearly not my strong point. Regardless, I am fascinated by people like Steve Jobs, who seem to have no desire at all to be liked – only respected for their achievements. If you had to decide, what would it be? To be the nice guy or the mean S.O.B.? To be too gentle or too aggressive? To shrink into the group or unabashedly take your position at the front of it? To see your people or the end result as the most important? To be seen as likeable or tough? There are many different styles of leadership. It’s your call as to which you use. It may come down to your answer to this question: should the leader be judged more for the results that he achieved, or the person that he was?